“Oh, it was just an experiment” is a typical response we get when we talk about a failed project. And that shows that we don’t understand what systematic experimentation means. Let’s see the story of one of the classic experiments in the history of mankind in brief (for details: check out Wright brothers national memorial). 1. First trip to Kitty Hawk 1900: Wright brothers selected Kitty Hawk, an island in North Carolina, for their experiments because (a) It had steady winds – giving better control (b) It had a handful of houses and lots of sand – less chance of damage (c) Not very far from Dayton, Ohio, their hometown – saving cost. During their first visit in October 1900 they first flew her as a kite and subsequently performed 12 glides. Their learnings were: (1) Their machine picked up speed while keeping the same distance above the side of the hill. 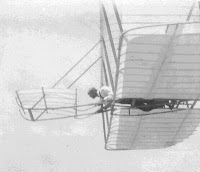 This meant she could glide on a slope that need not be so steep; (2) The brothers had hit the ground without harm to themselves or the glider (3) All the controls: the rudder, warping wires, front-to-back balance and side-to-side balance, worked fine. 2. Second trip July 1901: During this visit the brothers came across a strange phenomenon where one in fifty flights the machine came to an almost dead stop. It was concluded that their air pressure tables were wrong. That means they would have to build them from scratch. Back in Dayton they build a wind tunnel and created the tables. 3. Third trip 1902: During this trip, the machine did much better. However, it came nose-diving once in fifty flights, which they called “well-digging”. This led to the insight of movable tail. During the last ten days they made more flights than in all earlier years. In last two days alone they made 250 glides. 4. Final trip 1903: During this trip the brothers added an engine to the machine. They could not find an engine with right weight and horsepower in the market. So they designed a four-cylinder engine themselves weighing less than 150 pounds. December 14, 1903 is when they had their first successful flight at Kitty Hawk. 4 levers of a systematic experiment: Prof. Stephan Thomke articulates 4 critical levers of a systematic experiment in Managing product and service development: (1) fidelity – how closely does the setup resemble the actual (2) cost – the lesser the better (3) signal-to-noise ratio - how do you control other noisy variables (4) speed of experimentation. We can see that Wright brothers managed all four levers beautifully in their experiments. They had a handicap on the fourth one (speed) due to wind speed.